Hello everyone, I'm up on the Sunny Studio Stamps blog today featuring three last minute tags. Even though there is colouring involved on these tags - I found myself creating mini scenes faster than anything else. 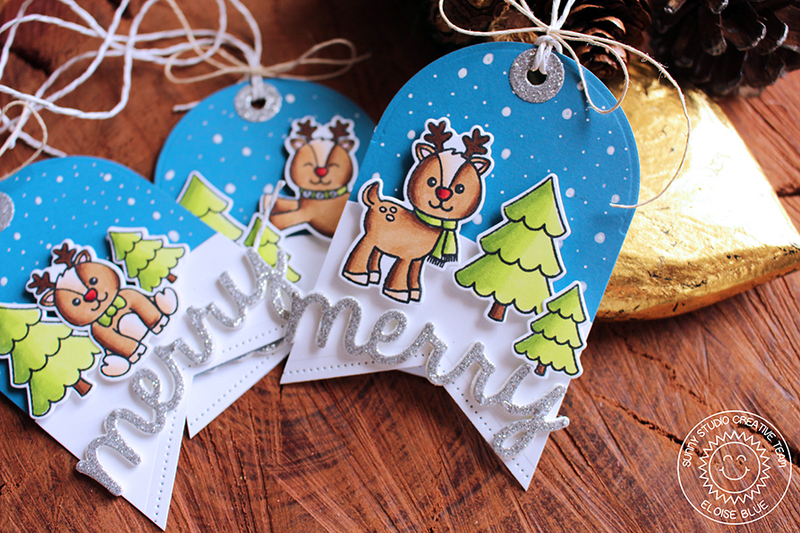 Check out the blog to see how I made these tags. I've just discovered your blog and love it! Thank you for the great videos and copic colour choices they are so helpful. I will be following your posts from now on! Happy Holidays!